If you visit Boston in the winter, you’ll be in for a treat! One of the perks of being in the New England area in the chilly season is the continuous source of fresh snow for our ski areas. Fortunately you wont have to travel far from this Boston Boutique Hotel to get your ski on. The best part is, you can have you own Aprés-ski fun on our roof-top deck while soaking away your sore muscles in our Hot-Tub. You don’t have to rush back to our Boston bed and breakfast to enjoy a warm soak since the Roof Top deck and Hot-Tub are open 24 hours a day. From beginners to professionals, anyone can enjoy snow sports at the Blue Hills Ski area. Located only 10 miles away from this Boston Bed and Breakfast, it is the closest ski area to the city of Boston. A short drive or train and taxi ride away, this ski area has been around since the 1960’s and has 12 Trails, 1 Double Chair Lift, 1 300′ Magic Carpet, 1 80′ Wonder Carpet, 1 Handle Tow. 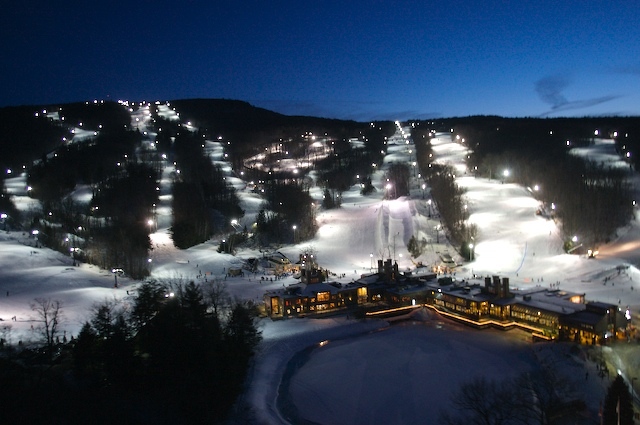 The Nashoba Valley Ski area is only about 30 miles north west of Boston and offers a separate (but close) tubing park. This ski area opened in 1964 and operates today with 4 chairlifts, 2 conveyors, and 4 rope tows. Or at the Wachusett Mountain is a short 1 hour car ride away and can also be accessed by public transportation. According to ski magazine, this makes Wachusett Mountain the most accessible Ski Area in the Easter US. From December 10th through March 30th the MBTA’s ski train will operate on the weekends leaving from North Station at 8:35am and returning to Boston at 5:35pm (shuttle to train leaves at 4:45pm). The 1.5 hours ride each way will cost about $8 and will have room for you to bring your own equipment. The ski area has 8 lifts and 22 trails and lots of Boston entertainment. This entry was posted in Uncategorized and tagged blue hills, boston bed and breakfast, boston travel, day trip, mbta, nashoba valley, ski, ski area, ski train, snow, things to do in Boston, tubing, wachusett, winter, winter sports by admin. Bookmark the permalink.